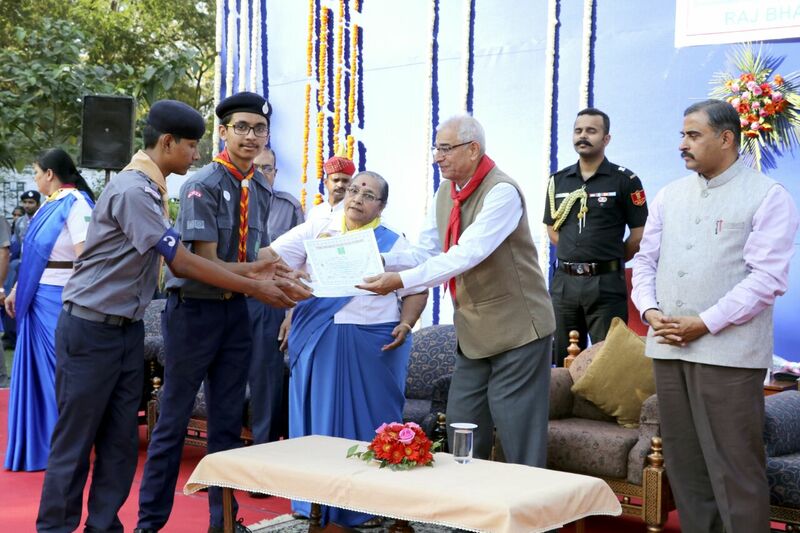 16 Students of Scouts and Guides were attended Governor Award function at Governor House, Gandhinagar, on 17th February, 2017. Master Shrey Patel from 'TRIPADA' receiving award certificate from Rajyapal Mr.O.P.kohali. as leader of Ahmedabad city Scout troop.